living in iowa has its perks. we are a swing state, so we are inundated with an unfathomable onslaught of political ads from presidential campaigns. tv programs are bookended with relentless attack ads, mailboxes are stuffed with propaganda, neighborhood yards wage war on one another, and phone calls pepper our caller id boxes. those aren't the perks. a cool byproduct from weathering those storms is frequent celebrity appearances in our community. 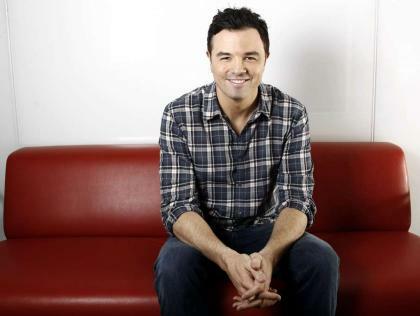 for example - last night, seth macfarlane (stewie, brian, peter, quagmire) showed up in town and stumped for president obama. fo free. i am a proud poppa. one of the isu jazz combos had a pretty unique experience a few days ago. they opened for bruce springsteen. 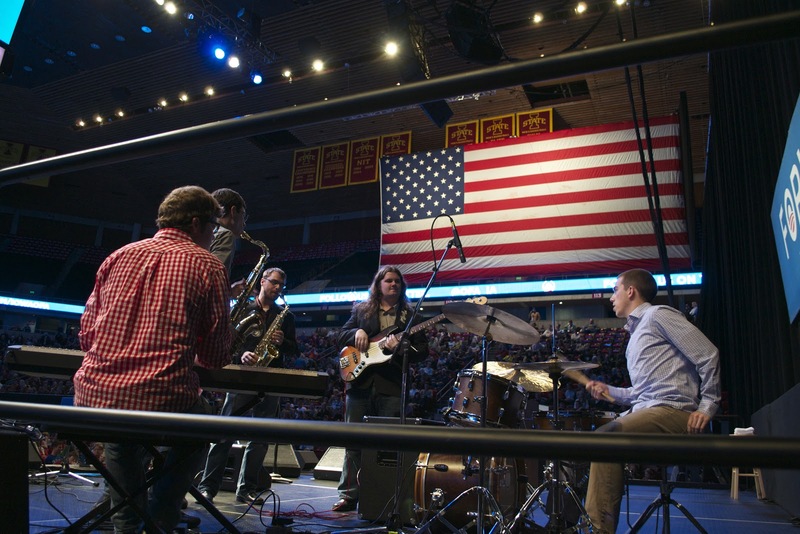 they had 24 hours notice of the event, countless hoops to jump through, and 4000+ people tuned into their every move on the hilton coliseum floor. they delivered a professional set of music under the cloak of an ever-changing time frame, saw their mugs blown up all over the jumbotron, and sported ear-to-ear grins when the raucous applause after each tune gave them a sniff of rock star status. the guys retreated to their v.i.p. front row seating, sat through some lukewarm political grandstanding, texted their friends, and patiently awaited the boss. 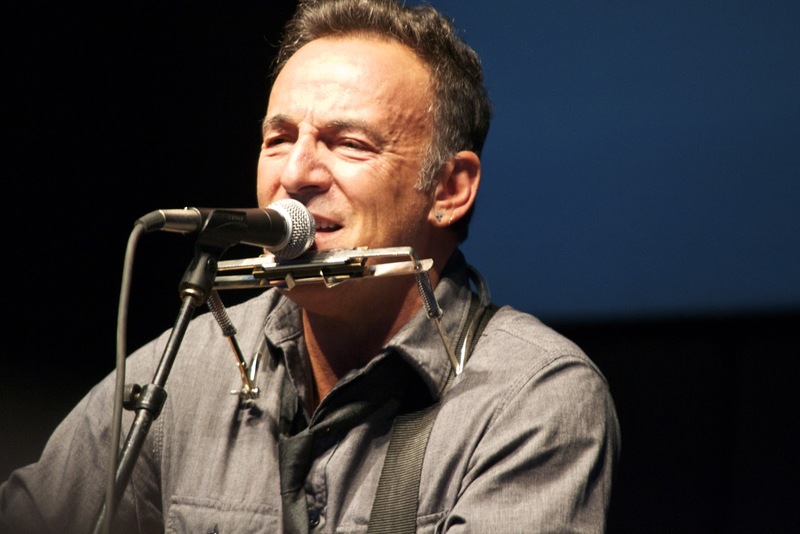 mr. springsteen, who had made an earlier appearance with president clinton in ohio, would make a quick rally cry in our town before flying out to a show in ottawa that night. when the weather finally cooperated, the american icon made his way to campustown and began to spread the gospel. the stadium seating dumped out onto the main floor, and gobs of people rushed the front of the stage to get as close as possible and snap off a few grainy pics of the boss on their smart phones. i have never been a springsteen fan. it's not that i don't like his stuff or respect him - i just don't listen to that kind of music very often. boy did he make a believer out of me that afternoon. he has such poise, such sincerity in his sound. i didn't know any of the tunes, but kept close track of the titles that others around me blurted out and sang along with so i could youtube them when i got home. he played pretty good harmonica, really good guitar, and sang with pitch control and color that knocked my socks off. i left the rally wondering where in the hell have i been all these years? everyone knew thunder road from the 1983 album born to run. thankfully, this world is full of second chances and multiple opportunities to learn the same lesson. the older i get, the more i realize what life has to offer. it's a cruel game, but one i assume we are all playing. i'm glad i had the chance to hear one of america's treasures. what else am i missing outside of my teeny tiny bubble? i'm embarrassed to admit what i don't know, but am continually grateful for people continuing to put their art out there for all to see. matt wilson is a national treasurer. he is such a generous and playful guy, an imaginative drummer, and i think one of the better bandleaders out there today. i have seen matt in many many different settings, but man - i wish i had seen this band. dewey!!! god he sounds so good and full-bodied. the great cecil mcbee is exactly what this trio needs. larry goldings shows up throughout other tunes. this gorgeous tune appears on matt's first record as a leader. the melody that matt wrote is so great. the rhythm figure that doubles up at 1:43 is my favorite part. my heart reaches out to grasp the remnants of the track as it fades out. 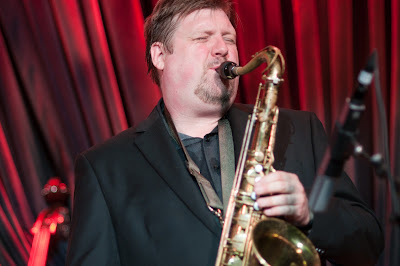 being a saxophonist is sometimes a drag. i know i'm supposed to listen to a bunch of saxophonists, find one whose sound and concept i most want to emulate, then get to work. true confession: i don't know that i necessarily like saxophone. i like good music and creative thought before i can discriminate based upon instrumentation or style. 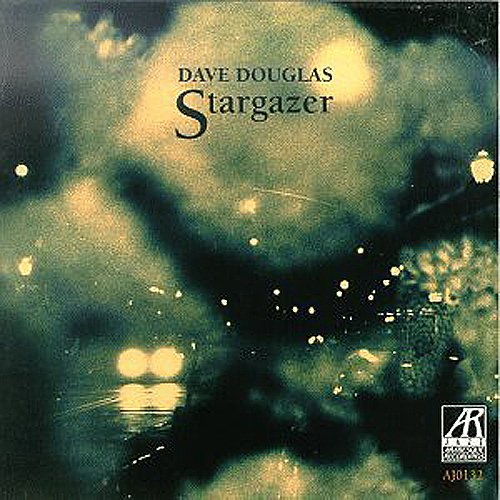 sure, there are a bunch of good saxophonists out there, but one of the first guys i heard and thought alright, NOW we're talking was trumpeter dave douglas. his playing is so genuine and witty, and he is a bandleader with remarkable rapport amongst his hand-picked ensembles. the sextet (with chris speed, josh roseman, uri caine, james genus, and joey baron) has done several cool albums, doffing his cap to mary lou williams, booker little, and wayne shorter. my favorite cut on the album features this cool line from the clarinet that rises from underneath and overtakes the sound field, first heard at 1:23. it's almost enough to inspire me to get out my clarinet again. almost. 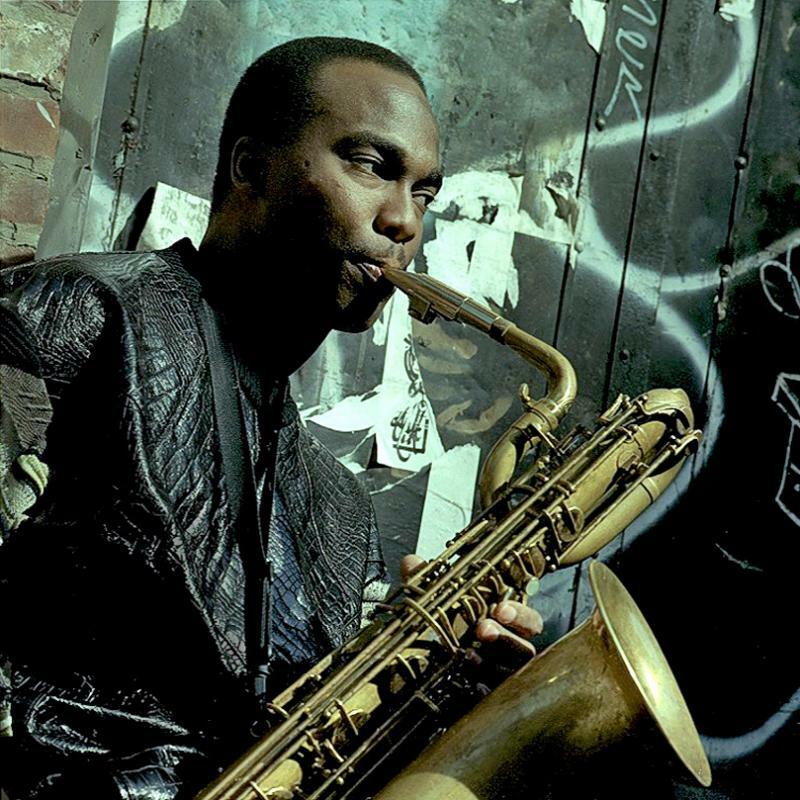 i've been slow to embrace james carter's body of work. i guess i usually think it ends up so self-ingratiating. now i don't know the man, but the music ends up cresting at some wild zenith that challenges me to trace back its origin from the start of the tune. it's pretty easy to run into his bountiful discography, and i found this django reinhardt record at cheapo records in the twin cities. it was released simultaneously with layin' in the cut, whose only saving grace is putting guitarist marc ribot in the starting lineup. i'm not sure what possessed me to pick up this particular album, but this track was worth the investment. i love the way that carter, who usually bludgeons the listener with his extended technique prowess, glides through subtones and double tongue ideas when the melody starts at 1:45.
i first knew of joel frahm from his work with the matt wilson quartet (with yosuke inoue on bass and the irrepressible andrew d'angelo on alto saxophone & bass clarinet), and have kept one eye on him ever since. my friend joop still proudly tells me the story of how frahm, chris potter's old roommate, served joshua redman in a jam session at small's. frahm is certainly underrated, but cutting records like this with brad mehldau takes him down the right path to notoriety and appreciation. brad's playing here is phenomenal, per usual, and frahm meets him every step of the way. i feel silly telling you that my favorite part is the first 4 bars of the chart, especially the change at 0:03.
hear ye, hear ye. kurt rosenwinkel is the real deal holyfield. 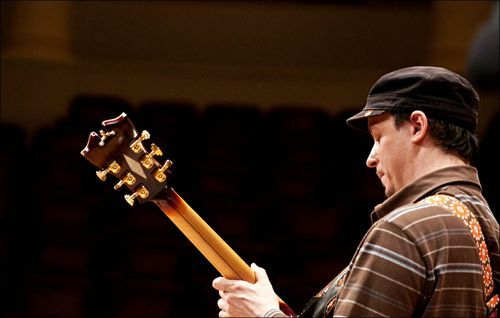 he is such a great guitar player, maybe my favorite out there (especially since c.c. deville has become a lexicographer). i first knew of his playing in human feel with his northwest cronies. kurt's work with mark turner is some of my favorite, and hearing him kill on rhodes with rebecca martin makes me want to hang it up for good. 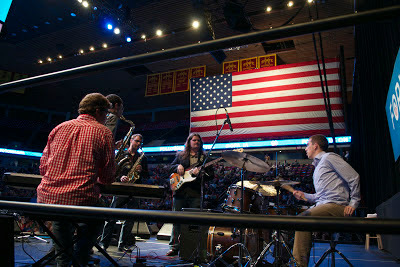 this track comes off the standards trio album with fellow iowan joe martin on bass and marcus gilmore behind the drums. the treatment of this often nebulous tune is smart and feels good. kurt fascinates me with both his single line ideas and how he hears (and provides) soloistic supplementary comping in his own solo. this knack is on display in my favorite part at 1:42 with his countrified comp in the middle of the form . it took me awhile to discover sting's music, but there's no turning back now. he can really write, sing, is a passable bassist, is allegedly way into that tantric business, and has collaborated with everyone from zappa to gil evans to pavarotti. 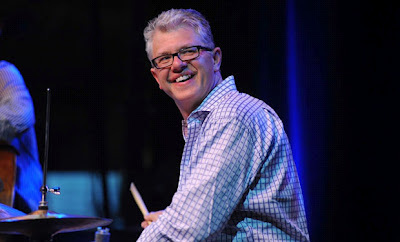 i like the records he toured with branford marsalis, omar hakim, kenny kirkland, and daryl jones. there is a super cool documentary of this group taking this music out on the road. one of the better tunes from his album dream of the blue turtles is the gem children's crusade. i like its melodic line and harmonic movement. i used to play this tune a bunch in my undergrad years, and my favorite spot from the studio version shows up at 4:24, when the bassist plays a wonderful fill for two beats. makes my day.